Download a poster here. Any help with publicity, much appreciated! It is not about learning to draw or paint, but about how to use art as tool to listen and pray in a non-verbal way. Also, being artistic is not a restriction for these workshops! Sharing reflections on the theme and the work of the day is encouraged, but no one will be forced to speak, if they that feels uncomfortable or inappropriate. The workshop will take its starting point from the reading, Isaiah 43:1-5 – ‘I have called you by name’ – a passage that speaks of identity, vocation and journeying. 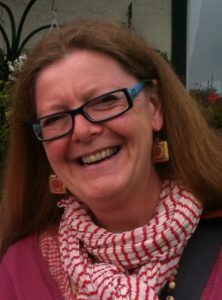 The morning is lead by Carol Marples, artist and development worker for the Soul Marks Trust. 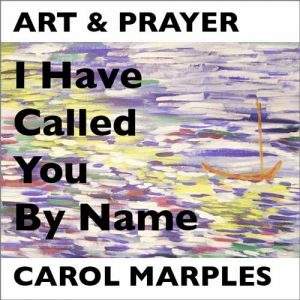 Carol has been leading Art & Prayer workshops for nearly twenty years in Scotland and beyond. Participants are encouraged to arrive from around 9.30am, so as to be ready for a prompt 10 o’clock start. Coffee and tea will be provided prior to the workshop beginning. Please follow the links above to purchase tickets and reserve a place. 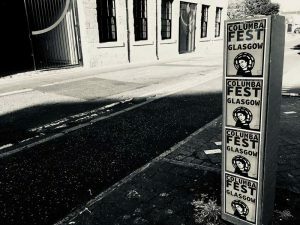 Venue: The Ground, Iona Community, 21 Carlton Court, Glasgow, Scotland G5 9JP, Scotland. This event is part of the weeWONDERBOX 2019-19 programme. See the 2018-19 listings page for more information . To receive updates of weeWONDERBOX events,sign up to the WGRG and weeWONDERBOX eNews here.